This is a Hybrid Water Park. The swimming pool and modulars in the pool are all Inflatable. 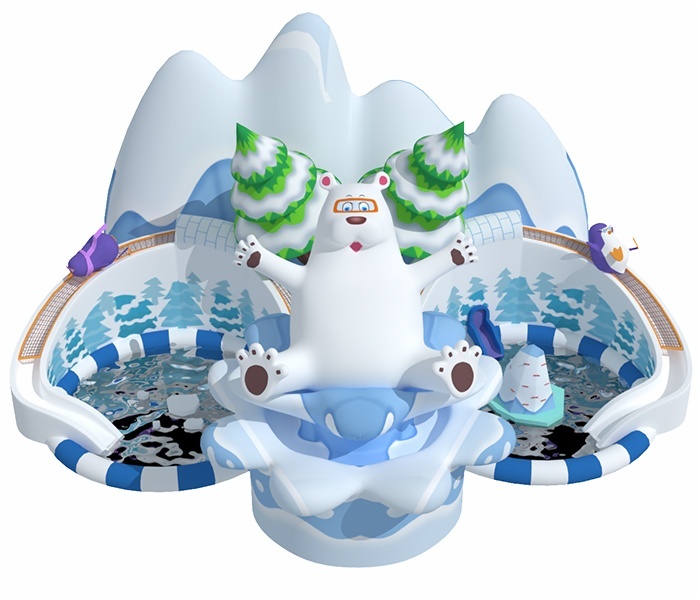 While the Pola Bear and Ice Mountain are inflatable, you can choose other types of airtight modulars to the swimming pool. 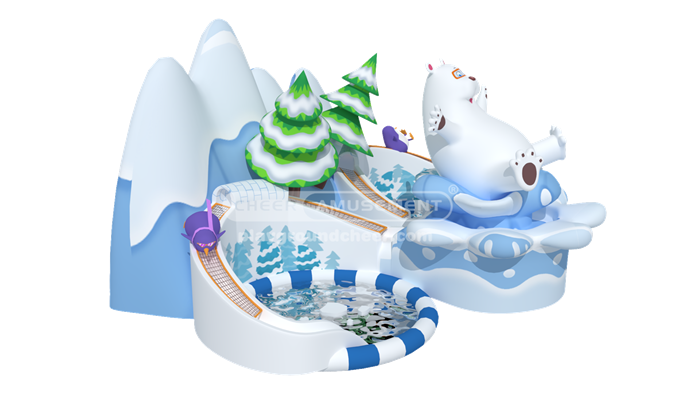 With water pipes that go up to the top of slide, the slide can be used as a water slide. The inflatable slide based on the animal kingdom has been painted yellow and green, among other colors, give children and parents with comfortable bright feeling relaxed mood. This is a bouncer meets European standard. With safety nets around the bouncer, children will not fall down from the bouncer. This is our Circus Themed Park Inflatable Bouncer with high quality materials. This robot themed inflatable fun city based on robot image and has great attraction for children. This is our Jungle themed Inflatable fun city park based on the jungle with many animals model. 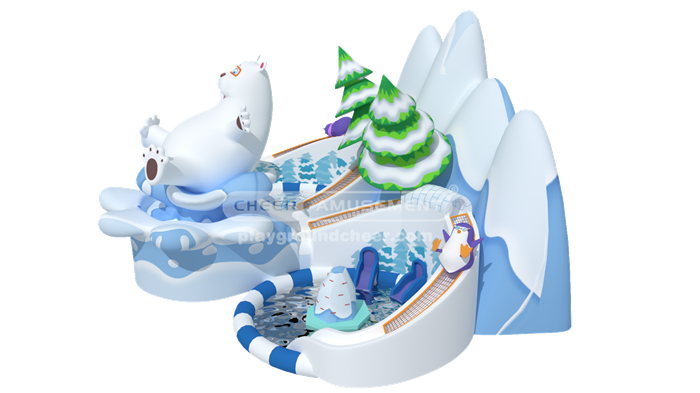 Cheer Amusement Candy Themed Inflatable Combo is made up of inflatable arch, inflatable bouncer, inflatable slide and candy element. 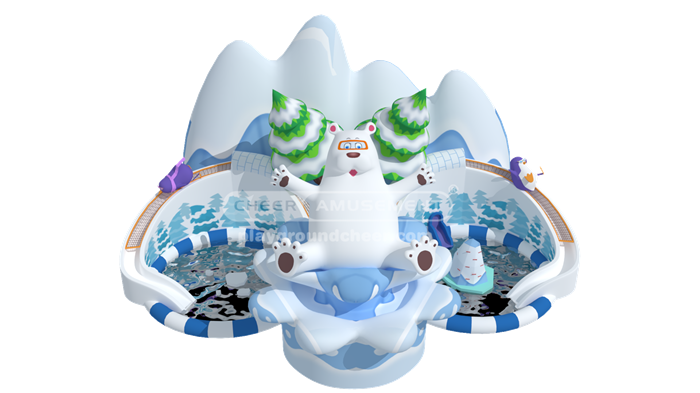 Brand Name: Cheer AmusementProduct Name: Inflatable Fun CityItem NO. : CH-IF1102100Theme: Ocean ThemeSize: 20mL * 11mW * 6mHPacking Size: 1.2mL * 1.2mW * 1.8mHPackages: 3 packagesWeight: 1184kgColors: UnlimitedMaterials: LLDPE and PVC compound cloth;Capacity: 45 to 55 children;Improves children's energy and imagination;Can satisfy their mental needs of surpassing;Integrates sports amusements and fitness through solid scientific combination;Components: Ball Pool, Inflatable Rock Climbing, Inflatable Obstacle, Inflatable Fun City, Inflatable Arch, Inflatable Bouncer, Inflatable Slide, etc;Suitable for 3 to 15 years old children;Available in various sizes, designs and colors;Usages: supermarkets, food chains, shopping centers, dining halls and indoor places;Customized sizes, colors and patterns are accepted;Dimensions: depending on customer's room.